Monday October 31 from 3:30-4:45 p.m. . The younger set gets a fun day out with the annual Trick or Treating in the Village. Hosted by the City of Grosse Pointe Parks and Recreation Department and the DDA, this free family event is for trick-or-treating only. 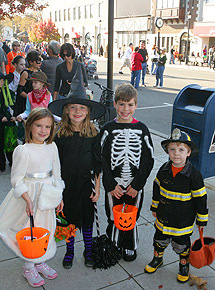 Trick or Treating in The Village is from 3:30-4:45 p.m. There is no parade.